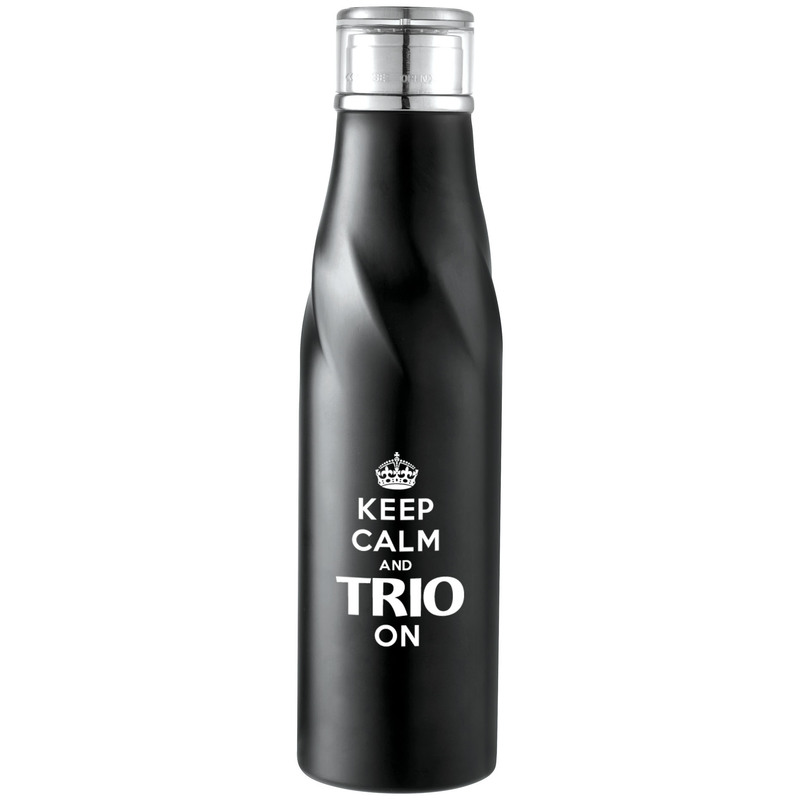 Design features auto-sealing method for easy opening and a more comfortable drinking experience. Wide opening for comfortable filling and pouring. 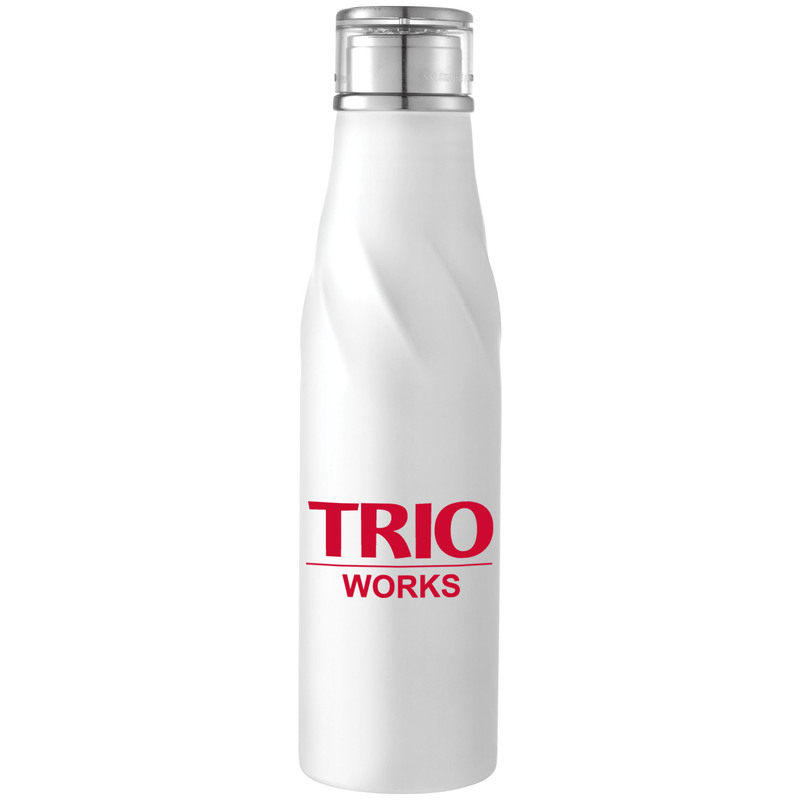 Durable, double-wall stainless steel vacuum construction with copper insulation, which allows your beverage to stay cold for 48 hours and hot for at least 12 hours with the auto-seal, spill resistant lid. Proforma can print with any stock or custom TRIO artwork.